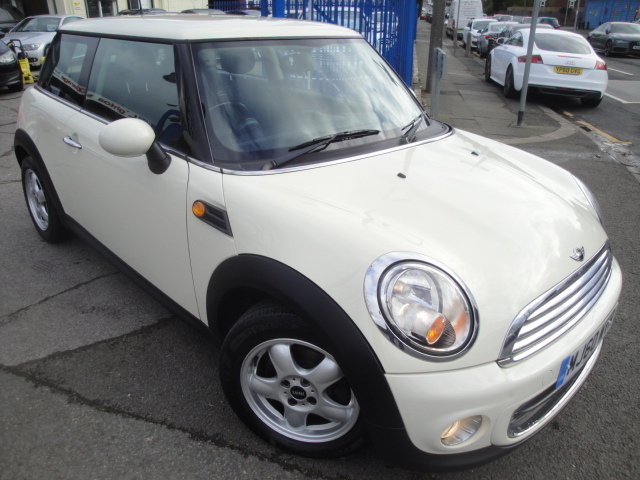 NEW STOCK JUST ARRIVED AND IN EXCELLENT CONDITION THROUGHOUT, FINISHED IN PEPPER WHITE PAINTWORK WITH MATCHING ROOF AND MIRROR CAPS. THE CAR ALSO HAS BLUETOOTH CONNECTIVITY AND THE 'PEPPER' PACK TO GIVE AN ENHANCED SPECIFICATION OVERALL. WITH JUST 2 PRIVATE OWNERS FORM NEW AND A VERY GOOD OVERALL SERVICE HISTORY. SERVICED AT 11889, 26687 AND 40414 MILES AND HAS NOW COVERED JUST 52500 IN TOTAL.